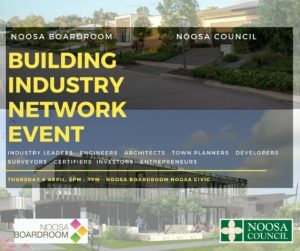 We hold regular events for both our Noosa Boardroom community and the wider Noosa and Sunshine Coast business community. 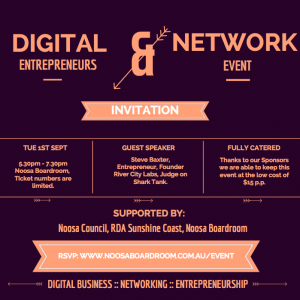 Whether it be our big Digital Entrepreneur Events, Silicon Coast ‘El Grandes’, meeting and greeting visiting Ministers and VIPs or our popular Boardroom Happy Hours, Noosa Boardroom offers its community the opportunity to make connections with serious business owners, entrepreneurs and investors both in Noosa and the wider Sunshine Coast. Hear from guest speakers on their journey and learnings. Mix with like minded small business owners. Meet and talk with people who are experiencing the same highs and lows of business that you are. 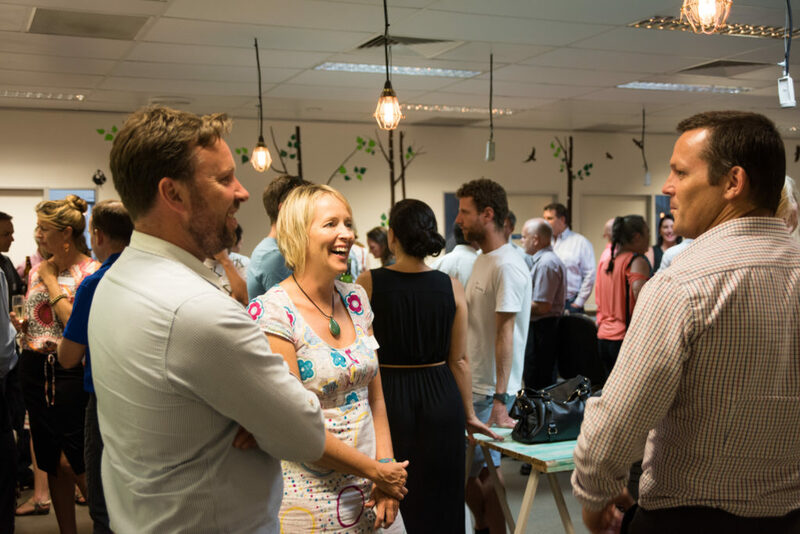 Connect with industry leaders who have successfully established themselves as well as mix with start ups and entrepreneurs at all stages of development. 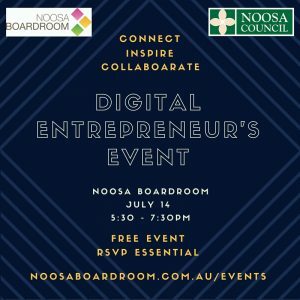 Partnering with Noosa Council in 2014, we have been hosting regular Digital Entrepreneur Events for local and visiting innovators in the digital space. 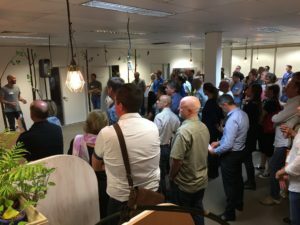 These sell out events are a must for those businesses looking to connect, collaborate, inspire and get motivated to realising their business ambitions. 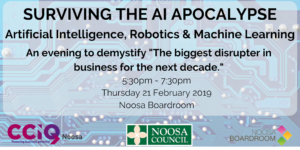 Guest speakers have included Steve Huff from iPug, Steve Baxter from River City Labs and Shark Tank, Rob Murray from Firemint Games and Ben Duncan founder of Atmail. 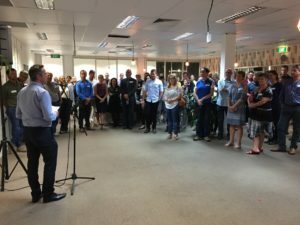 Our May 2017 event launched the exciting new entity Innovate Noosa, a way for ANYONE to get their idea realised. 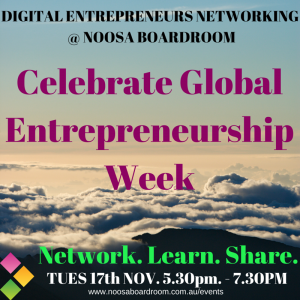 A big thank you to Noosa Council for their support of our events and encouraging local entrepreneurs to have a go! We’d also like to acknowledge Regional Development Australia Sunshine Coast for their support of business across the entire Sunshine Coast. They run many great programs for small businesses and are always wonderful supporters of our events. We encourage you to visit their website if you are looking for business assistance. Some of our past events below.